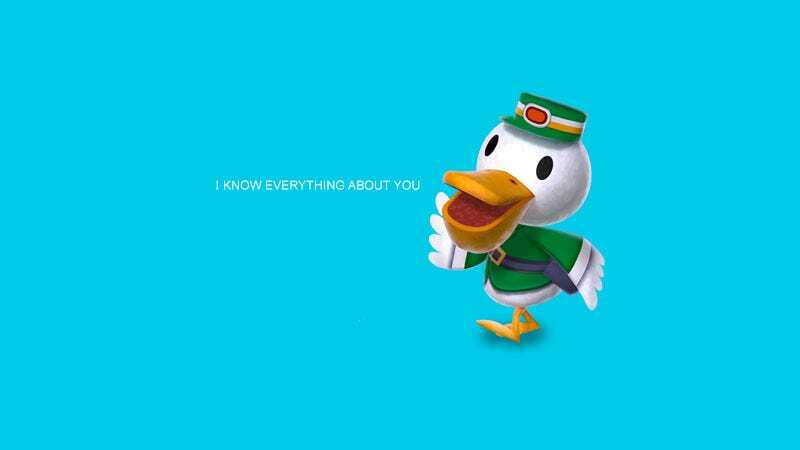 Ever wonder just how Animal Crossing characters—pieces of code, unable to comprehend complex human prose—are able to read and understand the letters you write them? James Chambers did, so he dug into the game’s code to find out. A software security researcher—who we’ve featured before here for his work on Animal Crossing—Chambers found that your letters are given a score across seven different checks that the game performs on the letter’s content, looking for things like punctuation, repeat letters and word length. That’s...not the worst way for an offline video game to crunch the data. I can’t believe I used to spend so much time making those letters perfect when I could have just typed A. A. A. A.
Chambers’ full thread has a lot more info and tidbits from his work, and you should definitely check it out if you want to read more on this.